Three GNs on dynamic demonstration! These three GNs were built by Godfrey and Archibald Frazer-Nash. 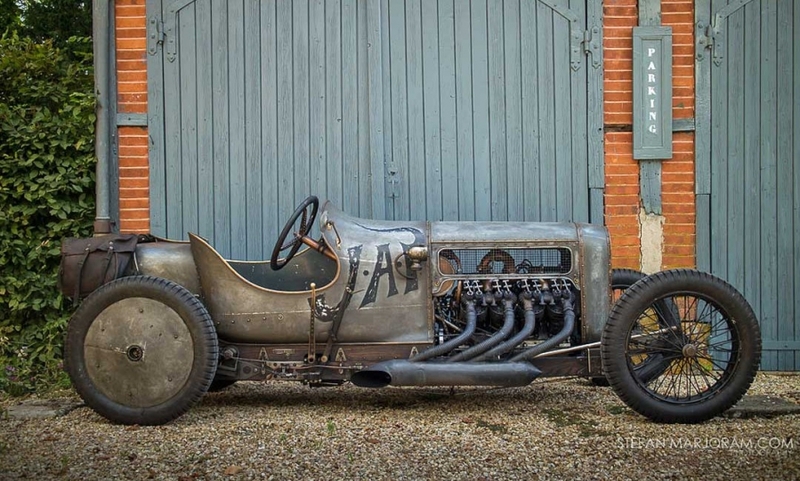 The JAP GN: this racing car mounted on a wooden chassis was designed in 1913. It is powered by a 5 L 8-cylinder air-cooled V engine. The manufacturing company JA Prestwich Industries, founded by Jon Alfred Prestwich in 1902, mainly built motorcycle engines. But in 1908, they decided to start designing aircraft engines. Four 8-cylinder V engines were built and tested. But designing and building these engines proved extremely expensive, and so the project was abandoned. One of these 4 engines was shoehorned into the wooden chassis of a GN. 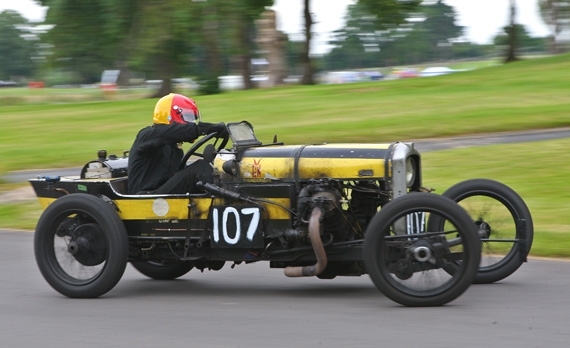 Today, Richard Scaldwell is lucky enough to drive this exceptional racing car at race meetings. Two competition GNs: At the last Rétromobile, Duncan Pittaway and Mark Walker staged extraordinary demonstrations featuring the enormous FIAT S76 and the thundering record-breaking Darracq. For the 2017 exhibition, the two friends presented their racing GNs. This delicate-looking machine is powered by a huge Curtiss V8 engine – a model that was used for World War I aircraft. On a racing circuit, Duncan is somehow able to tame this racing machine. Mark Walker presented this curious insect-like car with its narrow wheels and an engine that is so much more than meets the eye. Its bonnet can scarcely contain its enormous 4.2 L 2-cylinder engine. And once let loose on the racing circuit, this beast shows just how hot-tempered it can be. 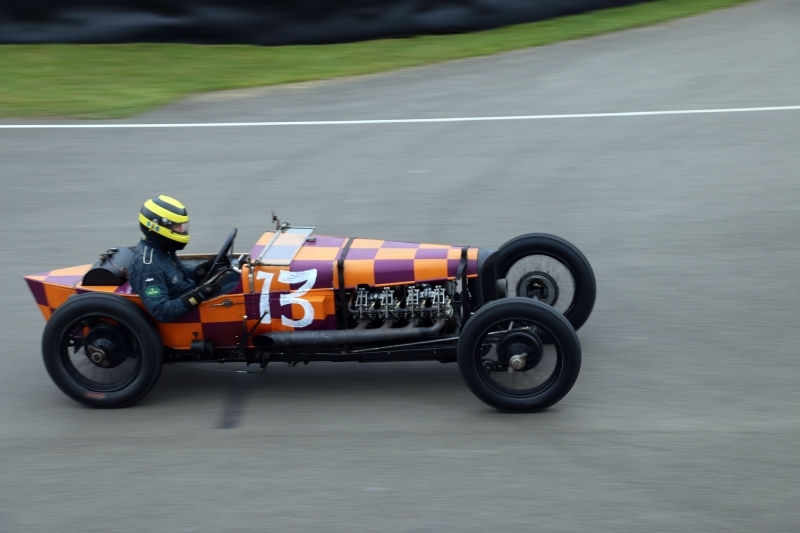 These three racing cars fired up their impressive engines to delight visitors.